This is a magnificent display! You must have spent a fortune purchasing these wonderful figures. Are all of these from Bill Hocker? Thanks for sharing. How many figures are present on this table? Thank you for your kind words! 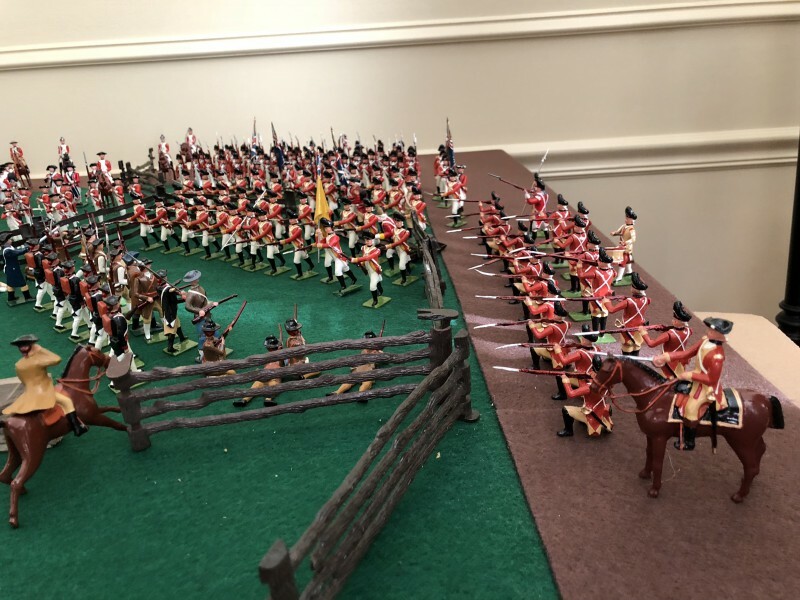 It's always fun setting up these displays/dioramas with our toy soldiers. 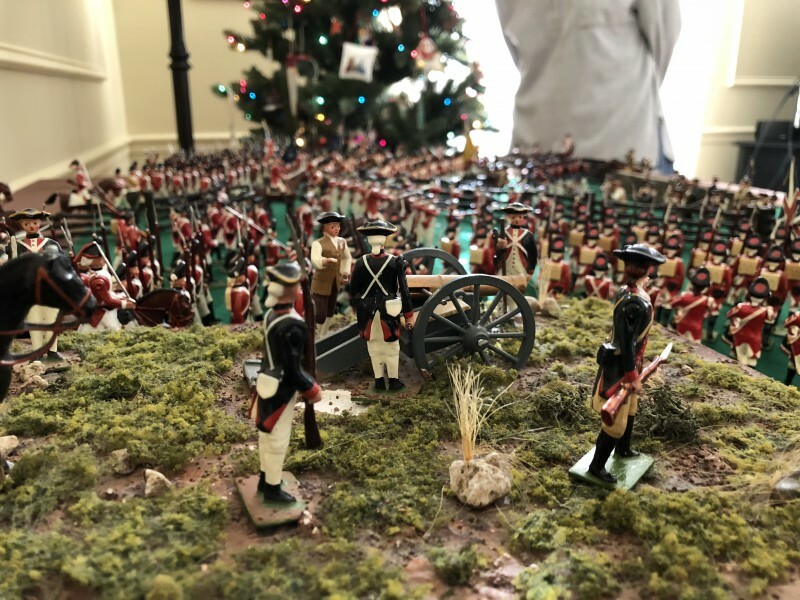 My wife allowed me to have this diorama displayed in our Living Room/next to our Christmas Tree from Thanksgiving to New Year's Day. It was a big hit to be seen & played with/rearranged in person by our families & friends over the Holidays. 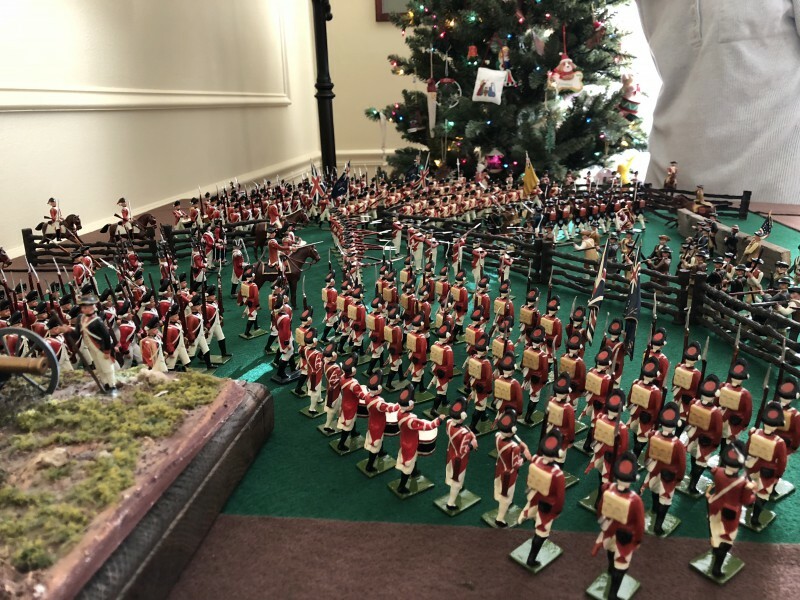 There are roughly 250 toy soldiers on this table. 95% are Wm. 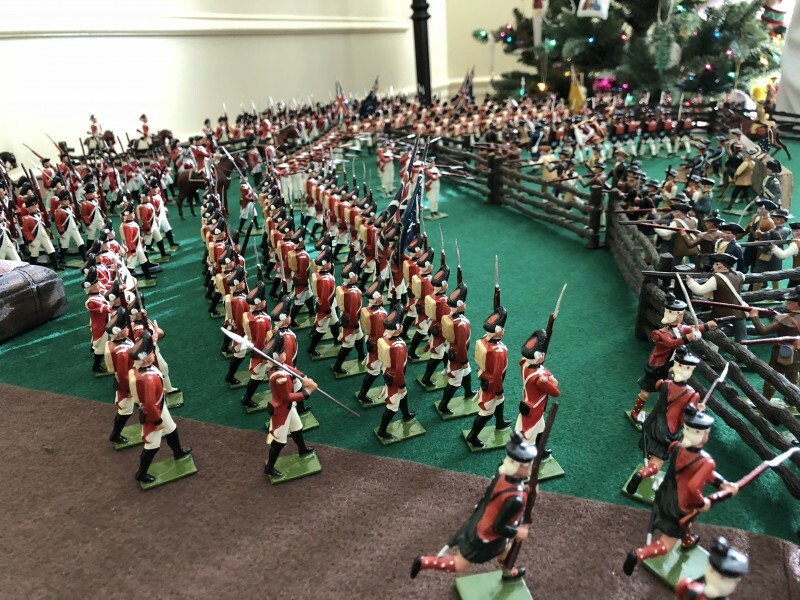 Hocker troops, the few others being Marlborough, Britains and Jones toy soldiers. 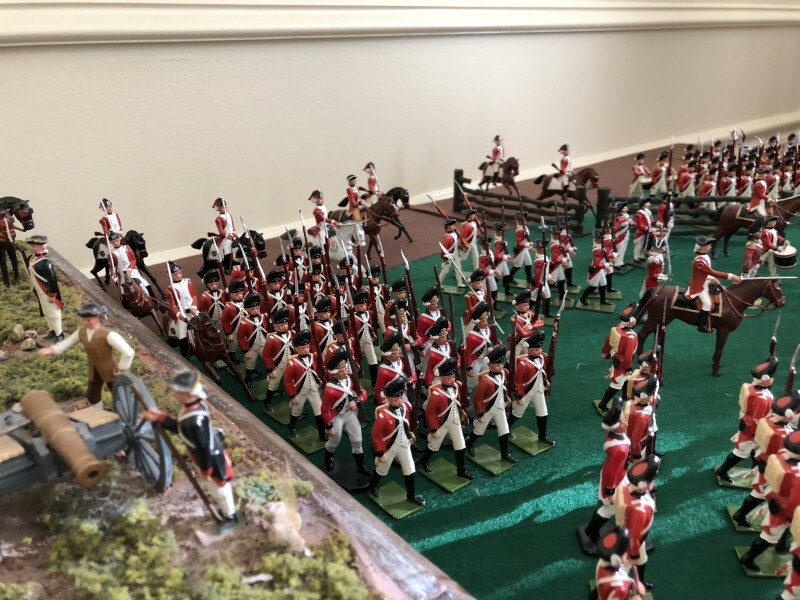 We had three sets of Hocker Hessians, two sets of Hocker British Light Infantry and four more sets of Hocker British Grenadiers we couldn't add to this display because we ran out of room (bigger "sand table" needed next time). Alex, please keep these beautiful photos coming! The ARW range is one of my favorites of the entire Bill Hocker line. My favorite being The American West. Just curious, when not on display between Nov. and Dec., where do you keep all the figures? Do you have them on display in a cabinet? Hope you can find a larger "sand table" before next November. James, thank you for your kind words. Great questions here. 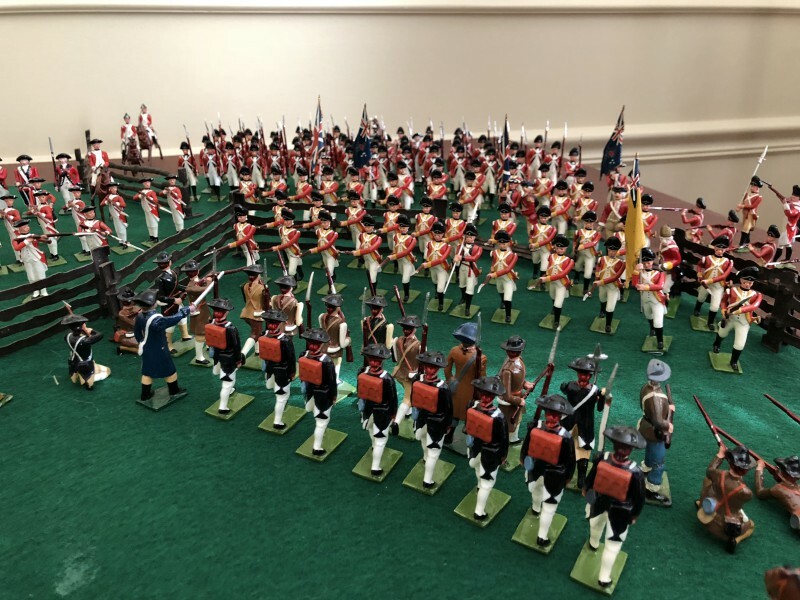 When not on display most of our (my wife "tolerates" my toy soldier hobby) Wm. 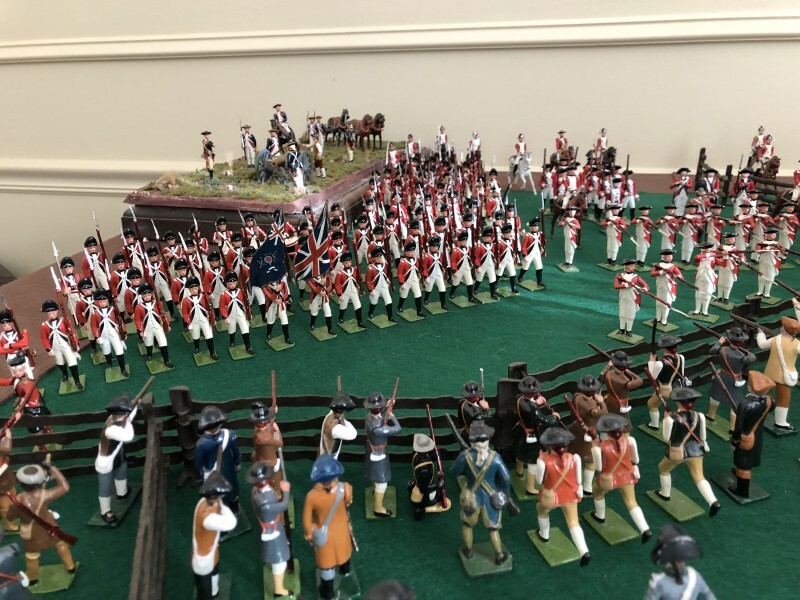 Hocker/old Britains/Imperial/Authenticast toy soldier collection is boxed up in large storage boxes in our basement, guest bedroom (under a bed no less!?) and in our painting-studio. 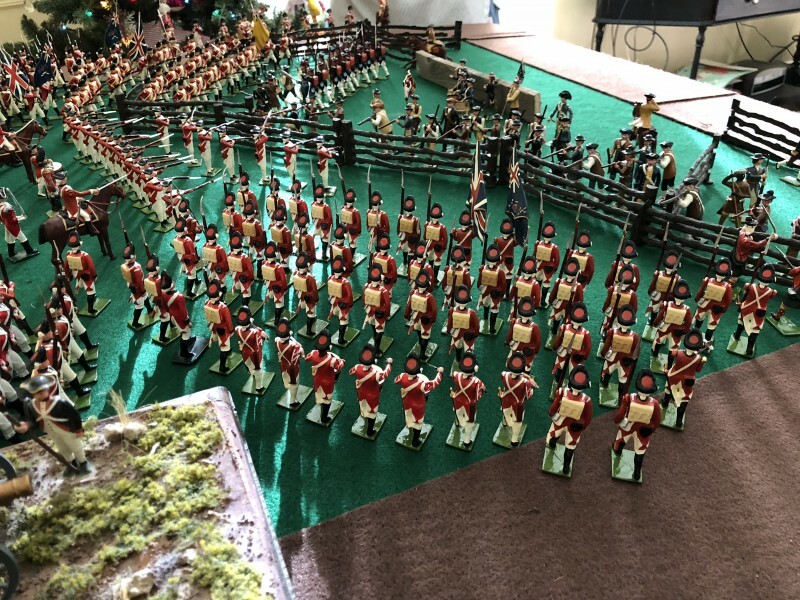 Half of this large toy soldier collection, including my Dad's original 1950s/60's Britains soldiers, Dinky Toys & Lionel/Weaver/Williams Trains collection is stored and on permanent display at my parents house including book shelves loaded with these troops and a very large sand table with Fort Zinderhoff defended by several companies of Britains & Hocker French Foreign Legion & Zouave figures (see photos of the French Foreign Legion fort/display on this website/dispatches). 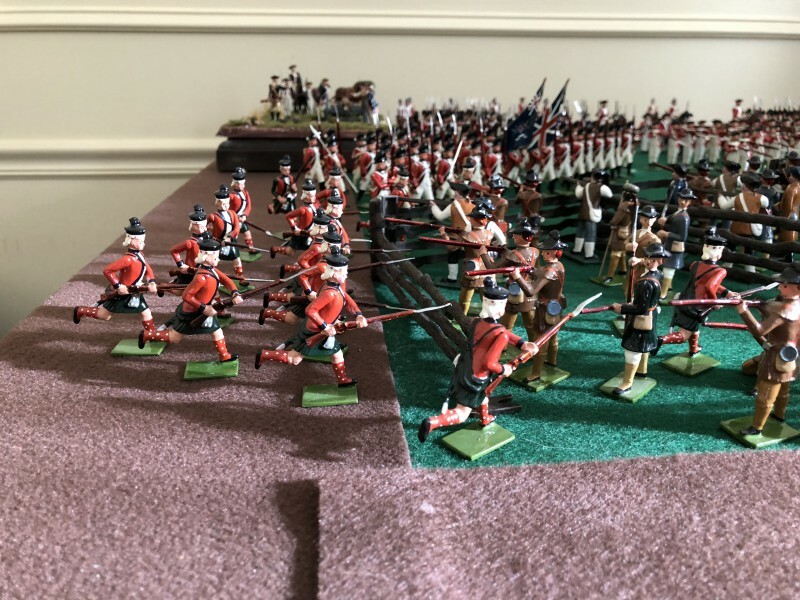 Its definitely a "family hobby" with my Dad, brothers, bro-in-law and young nephews all enjoy setting up mock-battles on the floor and sand table with these Britains/Hocker toy soldiers (and with the 1970's/80's Britains-Deetail & Airfix plastic soldiers we grew up with) each year around the Holidays. I'll do my best to create a bigger Hocker ARW display in the next couple of years!